Naren is an IT professional who started coding during 1999 with FORTRAN, then COBOL, C, C++, VC++... C#, Java, ASP so on. He loves coding, most of the time on Windows platform, some time Android, some time Linux, nowadays embedded platforms, Machine Learning with Python and 3D Game programming on Unity with C# scripts. He can do some query stuffs with Oracle, SQL Server, MySQL. He has done some interesting IoT projects using Raspberry PI, Intel Galileo, Arduino. He strongly believes that C/C++ is a must for all programmers, "if you know C/C++, you can do programming on any language". He is an electronic gadget guy who likes to buy small gadgets all the time, at least he will do window shopping on a gadget shop. His interest always have been with Automation in any form, call it a little automated program sitting in his Laptop or a home automation program runs on his mobile. Vistra code walkthrough article, to explain a few of the interesting things about Windows. Freehand draw - make a button with irregular shape. A step by step beginner's guide. A short description of keybd_event() function for beginners. Some useful tips and tricks for developers. Mazematics is a 3D action game which plays with your mathematical, memory and reflex skills. How good are you with Mathematics? No no.. not on Algebra, Calculus etc, just addition, subtraction, multiplication, division, mod... Good, aren't you? Then get ready to quickly find answers for such simple mathematical questions to guide the player to run through the maze path. Achieve longer distances to prove your mathematical skills and challenge your friends on social media by sharing your own Mazematics award. The longer you run, the higher the award you get. Naren started his career as a software developer and has around 14+ years of IT experience as of 2018. 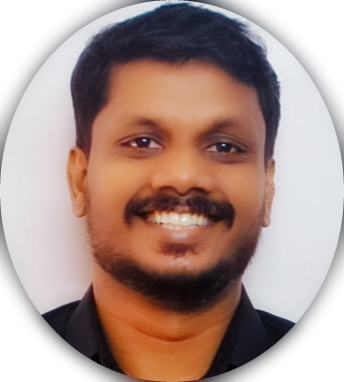 He has a wide experience on different programming languages including C/C++, MFC, ATL, COM, Win32, C#/VB/ASP .NET, MVC, Java/VB Scripts, Google Appscript, JQuery, HTML5 including the trending technologies like Internet of Things, Cloud Programming (Azure, Google), Virtualization (VMWare, VirtualBox) with different domain experience including Software security, Engineering, Manufacturing and so on. He is adaptive to any technology, programming or domain due to his extensive technical skills. He likes challenging assignments espceially if somebody says it is not possible. Naren has an extensive exposure to mobile application development including Android till KitKat, Windows CE till 6.0. Always interesed in embedded/machine level programming and recently started with Internet of Things articles on codeproject with Arduino, Raspberry PI B+, Intel Galileo Gen 2. He is an active Codeproject Article writter who had written 9 articles so far and more to come.